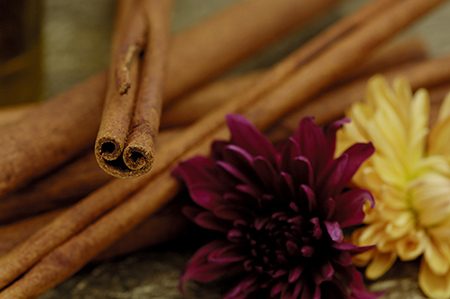 cinnamon – A mildly sweet spice, cinnamon is most often used for baked goods. It possesses a delicate aroma and is sold in the form of cinnamon sticks or ground. When ground, it’s a must add-in for pies, cakes, breakfast rolls and crumbles. It also makes wonderful ice cream or try using the sticks for mulling cider. Cinnamon is a superb complement to both apples and chocolate. Try a sprinkle on top of hot chocolate for a Mexican flavor. Or, add a little cinnamon to your coffee grounds to make your own flavored coffee.